Here you can see 136 movie posters with Trajan. Trajan is an old style serif typeface designed in 1989 by Carol Twombly for Adobe. The design is based on the letterforms of capitalis monumentalis or Roman square capitals, as used for the inscription at the base of Trajan’s Column from which the typeface takes its name. 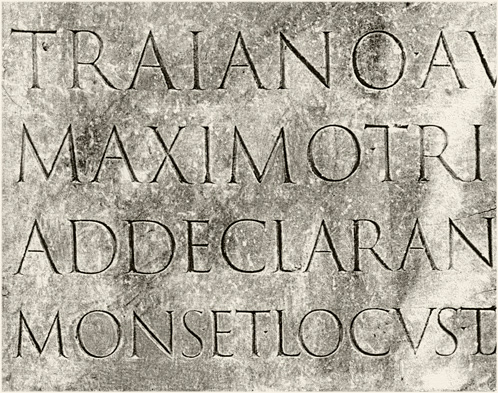 Since lower case forms were not in use in Roman times, Trajan is an all-capitals typeface. Instead, small caps are commonly used, and a more complete set of glyphs contained in Trajan Pro (a 2001 update of the original typeface) includes a lower case of small caps.